I received The Caretakers by Adrian Chamberlin and the first thing that struck me was the look of the book. I like the Dark Continent logo, showing a winged demon astride the earth against the letters D and C. Then we have a darkly atmospheric cover illustration (also repeated inside in black and white which reveals more detail) by Jethro Lentle which is reminiscent of the covers of PS Publishing titles, particularly those books by Adam Nevill and Ramsey Campbell. Inside we have a 345 page novel, consisting of 32 chapters framed by a prologue and an epilogue. This is a first novel from a writer making an impact with his short fiction and it’s a good effort, and certainly better than first novels by some more established, “bigger” writers, whom you discover later in their careers and read their back catalogue which includes that “clunky” first book. Ideally, it might have had a tighter edit as it is a bit slow in places, but overall this is a novel with rounded, well-fleshed out characters, evocative description, and (thankfully) believable dialogue. Writing realistic dialogue is a skill not all writers possess, but Chamberlin has it in spades. The Caretakers unites myth and legend with history and horror of a grand cosmic scale. The main characters consist of hard-man Andy, his girlfriend Jenny, disturbed Jason (in the thrall of The Elder) and Andy’s friends Rob and Phil. Some of them will come together under the shadow of All Souls College which is about to celebrate a mid-winter feast. 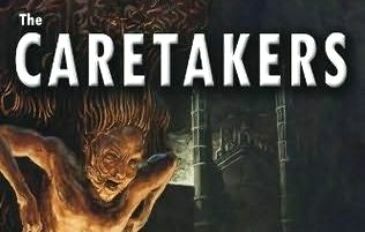 But, who, or what are “The Caretakers” of the title? Andy Hughes, the main character, is not your normal hero, given that he is newly released from prison after serving time for murder. He is a realistic, well-drawn character, though prone to violent outbursts. Some darkly humorous comic relief comes from his friend Rob, and a wild boar that won’t stay dead. Author Chamberlin manages the triple trick of bringing together realistic characters with a genuinely creepy setting in an alternative Cambridge. This is a tale that is violent when it needs to be, and there are a couple of scenes involving parts of the body that are guaranteed to make the reader flinch. The Caretakers is a suspenseful and intriguing read with hints and clues that lead to further layers and sub-plots within the novel. While the plot is gripping and builds to a satisfying conclusion, some readers might find it slightly slow and overly descriptive, but they would be missing out on a well written, intelligent novel with a memorable ending if they made the mistake of setting it aside. This is my kind of horror novel (although it could also be labeled a mystery and a thriller, and as such brings together the best elements of all three genres) with the stories of separate characters who gradually come together to face a great evil. Think along the lines of King, Straub, Campbell, Laws, and McCammon. 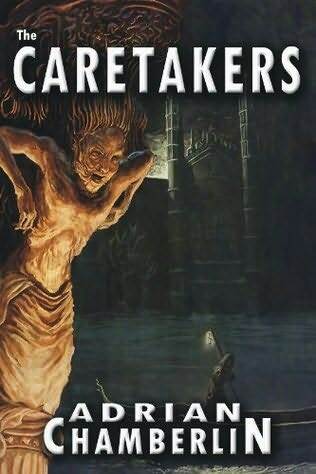 I recommend The Caretakers, and Adrian Chamberlin as a writer to look out for. You can buy The Caretakers HERE. Adrian Chamberlin lives in South Oxfordshire, UK and isn’t as depraved as he paints himself. (Mostly in watercolours, but occasionally oils.) 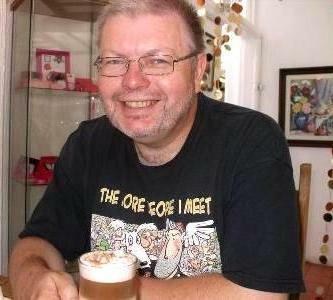 His stories have appeared in American, Canadian, Australian and British anthologies, and The Caretakers was released at the 2011 World Horror Convention along with novels from fellow founders of Dark Continents Publishing. Fairlight is coming in summer 2012, along with Snareville III (with D M Youngquist) and OAZ: Old Age Zombie (with Suzanne Robb). 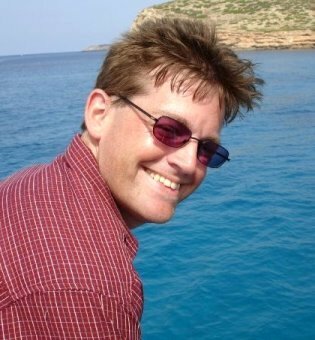 Ian Hunter lives in Scotland where he writes stories and poems and edits anthologies as well as being the poetry editor of the British Fantasy Society's journal "Dark Horizons." His work has appeared in magazines and anthologies in the UK, the USA and Canada, and this year a collection of some of his previously published poems appeared under the titleSecond Hand Poems. More about his adventures can be found out at www.ian-hunter.co.uk. The photo above shows Ian holding what he thinks is the perfect mocha in a coffee shop in the wonderful East Neuk of Fife.